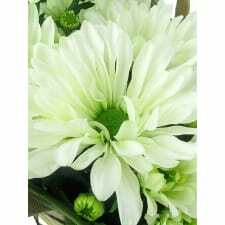 A living plant – like our so-sweet White Potted Chrysanthemum -- makes a great gift and lasting reminder of your thoughtfulness! Best of all, it arrives in a hessian bag, so it’s a breeze to relocate to that perfect spot. Seamless and beautiful - thank you!